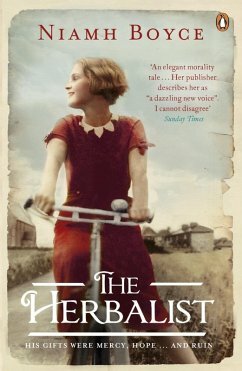 The Herbalist is the electrifying first novel from Hennessy XO New Irish Writing Award winner, Niamh Boyce. It is a deeply moving and viscerally powerful novel about the lives of women in 1930s Ireland - an unforgettable story of love, shame, hypocrisy and courage. Niamh Boyce was named Newcomer of the Year at the 2013 Irish Book Awards for The Herbalist, her first novel ('The most entertaining yet substantial historical novel since Joseph O'Connor's Star of the Sea' Irish Times) which was also a Number One bestseller. She won the 2012 Hennesssy XO New Irish Writer Of The Year Award and Emerging Poetry Award for her poem 'Kitty'. Her short fiction has been widely published in anthologies. Her Kind is her second novel.